Mountains in India are as diverse as the country itself. Right from lush green right to stark naked mountains, India has a crazy buffet of treks depending on the weather, difficulty and regions. The exciting part of the treks is the quaint villages and hamlets that you cross. With stunning views, gushing rivers cutting through mountains, connect with local people along the way, and hot meals to satiate the ever-hungry hiker; India is a haven for those who love to get lost in nature. Covered in snow for most of the year, the Pin Parvati Pass connecting the Kullu valley (Manali) and Spiti valley (Kaza) in not any random walk up a mountain. 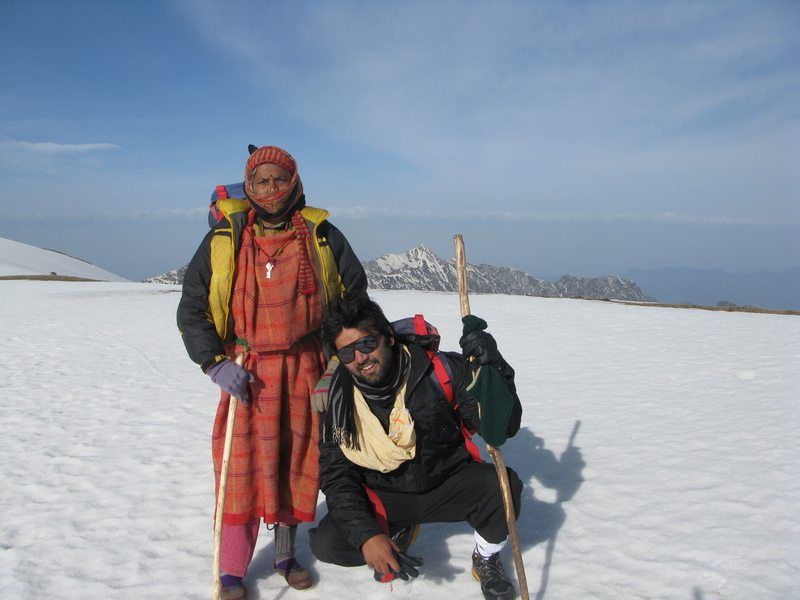 The uncertain weather and high altitude, makes the hike perfect for adrenaline rushing experience for seasoned trekkers. Connecting with locals is an excellent way to make the hike easier and more memorable. The cultures change as you cross the valley through a bed of wild flowers, pine forests, chilling waterfalls, and hot springs, over to barren landscape and mud everywhere. But one thing guaranteed – the views are unbeatable! Roopkund is a must for those ardent snow-loving hikers. Watching the colours and nature change over a week, from shades of green and tall trees, to a sea of snow right into the horizon, are a feast for the eyes. The frozen mysterious lake is a moment when time stops and you have an epiphany! Popular for the hundreds of skeletons discovered near the lake complete with intriguing theories, locals enjoy sharing their stories of the place and the belief in the villages. This trek again needs a good level of experience and sheer joy of getting lost in mountains; and the highlight was the view at the top of the peaks and the vast Roopkund glacier stretching into forever! If you are looking for an absolute offbeat experience for hiking, the Markha valley hike is full of surprises. Cutting through the Zanskar valley, this trek is through confused weather – sunny and dry, but cold! Passing Buddhist temples and chatting up the monks, while sweating off the arduous hike, is an extremely satisfying experience. You would be to see the number of trekking companies in the villages you pass through – however, it means better help and support if need arises. This trek winds through the mountainous uncertain Ladakh terrain crossing unexplored villages and soaking in the monastic culture of Tibetans. Also known for its religious significance for Tibetans, the Lamayuru trail is where the rare Ladakhi flowers are refreshing to the eyes. Kick-starting from Lamayuru monastery to Chilling, you can take in the daunting Karakoram and Stok ranges stretching majestically right in front of you. The view does humble you! Nestled in the unexplored Sikkim, the Goecha La trail in the northeast of Sikkim and the southeast face of Mt. Kanchenjunga, is the most popular route for hikers in the northeast of India. The unseen beauty and lush green mountains everywhere is a colourful feast for your eyes. Nature is unbeatable unlike anything you would have ever seen. The weather tends to be cold and wet, but makes it challenging. Though the region itself is bursting with natural beauty everywhere, there are way too many hikes you can take off on! Located in the Western Ghats, this incredible hike is a getaway from bustling Mumbai. For those who have a lifelong tryst with mountains and just can’t hold themselves back while in cities, this cuts you off from all that humdrum. With a perfect panoramic view from the top, the best time to go is a little before the monsoons and in the winters; it gets a little slippery after monsoons – definitely not the summer. 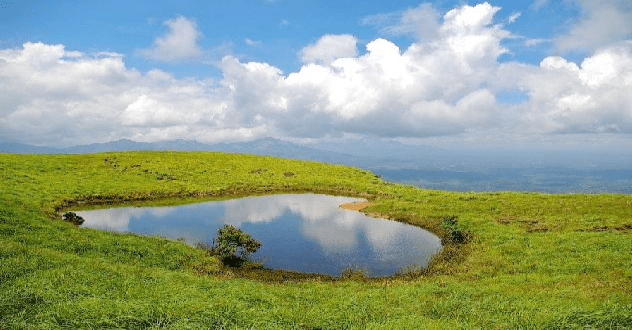 Famous for the heart-shaped lake, the Chembra peak in Wayanad is an easy hike up in the non-monsoon period. The monsoons make it very challenging, but an adventure nevertheless. Be prepared to be mauled by leeches to give you company through the wilderness. The lake is midway to the peak at 2100 m, one needs prior permission for the hike. It also has some basic charges for the hike. Get a complete view of the Zanskar and Indus valley in one capture atop the Stok Kangri peak. For serious hikers, the Stok Kangri peak trek is one of the most peaceful and existential hikes. The changing landscapes and silence that surrounds you throughout, the summit is beautiful for watching the stars and maybe getting that long-overdue time-lapse. Through snow and barren lands, and green landscapes, the trail is not easy and requires prior experience of hiking. And well, who doesn’t like Ladakh after all! 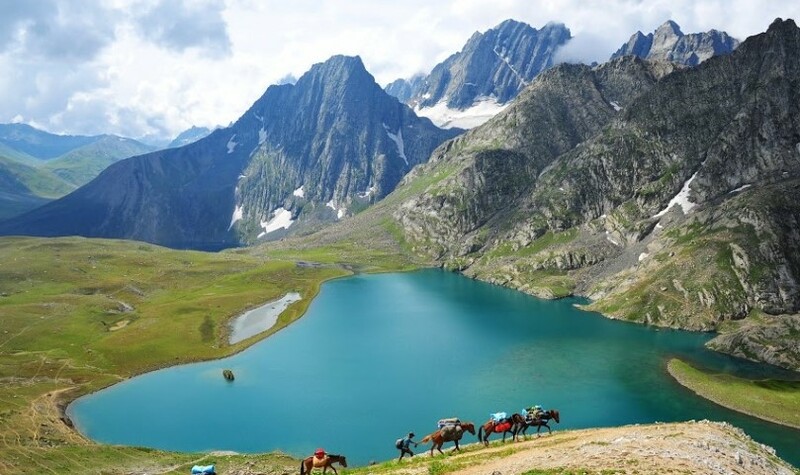 One of the most beautiful treks in India, the hiking to 5 alpine lakes across Kashmir’s valleys is a play of colours. The lakes with patches of snow floating in them, and green shores is like a postcard come to life. Once again a haven for hikers, Kashmir has loads of peaks to scale, but the Kashmir Great Lakes Trek is truly refreshing. Crossing snow-clad glaciers and then tall trees, with unending meadows, cool weather, and endearingly warm local people, is what make the KGL trek memorable! This is yet another north-eastern beauty. The Dzukou valley is on the border of Nagaland and Manipur, and is interestingly, a winter trek! The oak and dense forest trail is not very clear, has loads of bamboo sticking out, and tends to go missing in parts – this makes it quite a hike indeed! However, there are some comforts on this trail – you find huts built specifically for trekkers who offer food and dorm beds at cheap prices – but a view that is unbeatable. The valley is a deep gorge, and though valley hikes appear to be easier, this one is not a cakewalk. Enjoyed looking through this, very good stuff, thankyou. “Management is nothing more than motivating other people.” by Lee Iacocca.